My First Bike explores the life and work of professional frame builders by going back to the start and looking at the first bike they ever built. Today’s My First Bike features Joshua Bryant of Cycles J Bryant. Give me the short rundown of your first frame: when was it built, where, materials, any special details about it, etc. I built my first bike in the basement of my apartment in the winter of 2007. I had recently gotten back from a honeymoon bike touring around central Europe. Towards the end of the trip, my Kogswell P/R was stolen. 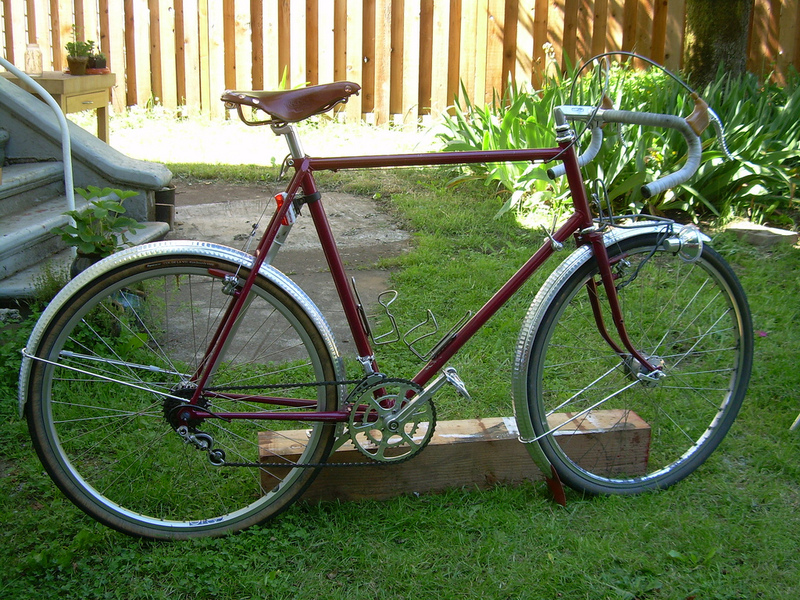 I set out to build a bike that was similar, but lighter in weight than that bike. I had a rather dimly lit basement and spent any free time I had mitering tubes, prepping material, brazing, etc. It was made from somewhat light gauge Nova tubing, 8-5-8, and was spec’d to house 650x36b. It sported a front rack and a wired headlight. I rode that bike on many of my first brevets, a couple flèches, some gravel exploration and a few overnight camping trips. It was modeled after the great French Constructeurs, but teaching myself, I didn’t execute a few of the finer details I was going for as well as I had hoped. I had a lot of miles on the bike thinking of how to properly execute my vision and my next bike turned out much closer to what I was looking for. I rode this first bike for about 3 years until I set out on a 300k training ride, preparing for the Cascade 1200 several years ago. I ended up wrecking the bike pretty bad. Luckily, the only real damage to the bike was the front wheel exploded. The bike is still rideable and fairly true even, but it’s hanging in my basement for now.